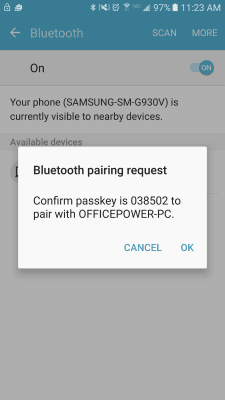 If you’re without a cable and wish to quickly transfer files via Bluetooth between your Android device and Windows 10 computer, here’s how it’s done. From your Android, go to “Settings” > “Bluetooth” and turn Bluetooth on. Ensure your Android is set to be discoverable via Bluetooth. 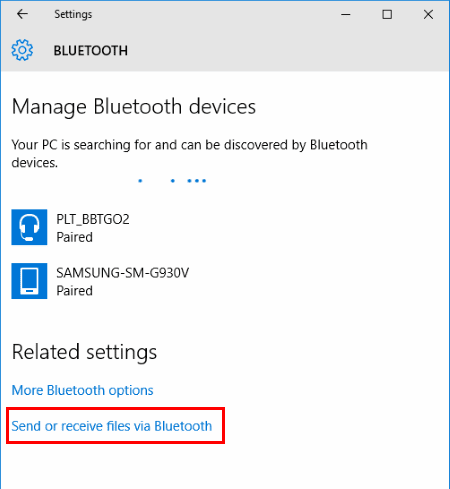 From Windows 10, go to “Start” > “Settings” > “Bluetooth“. The Android device should show in the list of devices. Select the “Pair” button next to it. 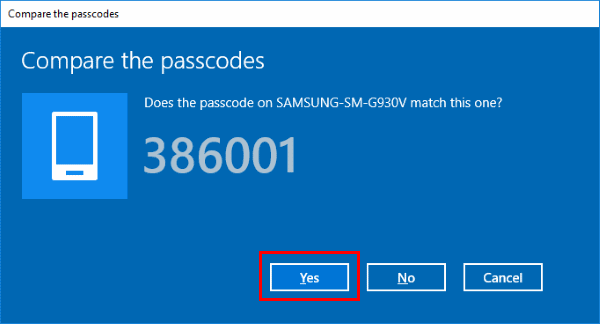 Windows 10 and your Android will show a passcode. Ensure that the codes match on both devices. Tap “OK” on the Android and “Yes” on Windows 10. Otherwise select “No” or “Cancel“. The devices should then be paired together. 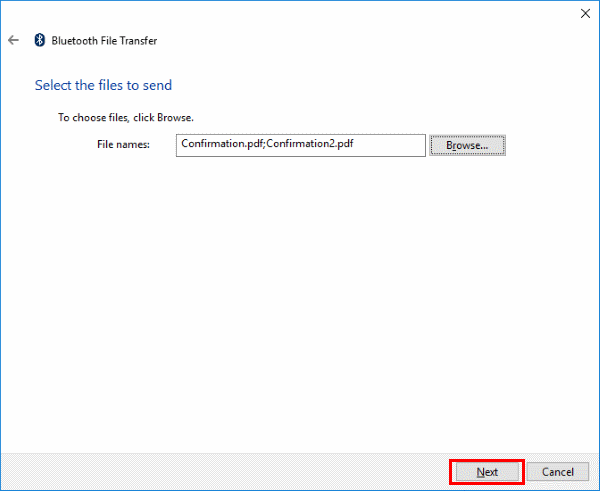 Select “Send or receive files via Bluetooth” from the Windows 10 device. Choose “Send files” to send files to your Android or “Receive files” to receive files from the Android. 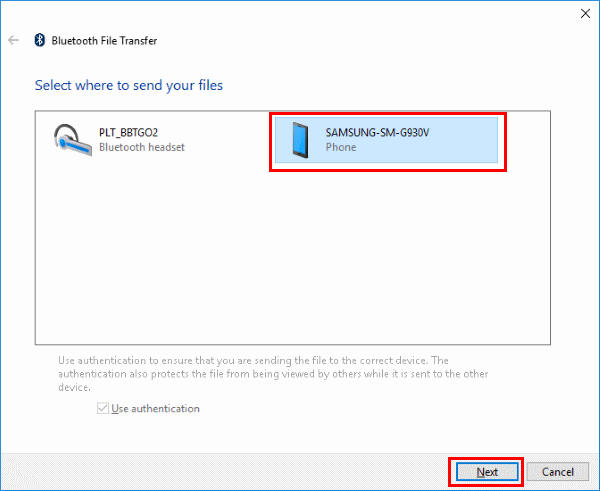 After selecting “Send files” from Windows 10, select your device for where to send your files, then select “Next“. Select “Browse“, then navigate to the folder that contains the files you wish to send. You can hold the “CTRL” key and select multiple files if desired. Once you have the file(s) selected, select “Open“. The files should show in the “File names” field. Select “Next“. 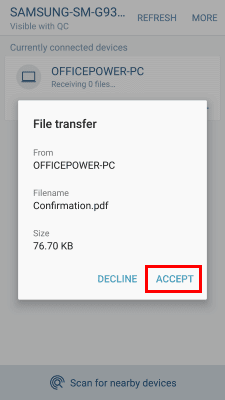 From the Android, choose to “Accept” the file transfer. The files should successfully transfer between devices. 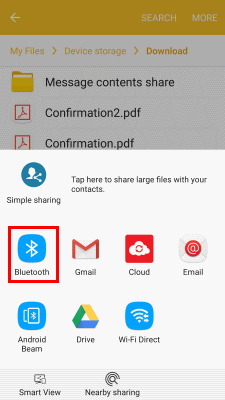 After selecting “Receive files” in Windows, choose the “Share” option for any file on the Android device, then select “Bluetooth“. 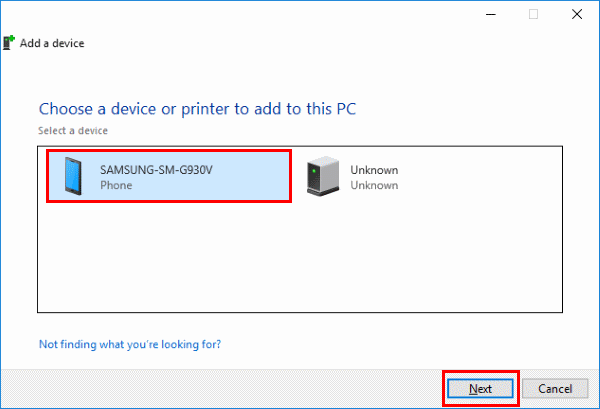 From the Android, select the Windows 10 PC as the you want to send to. The file should successfully be received on the Windows device. Select “Browse…” if you wish to change the location the file will be saved to. Select “Finish” and the file will be saved to your PC. 1. 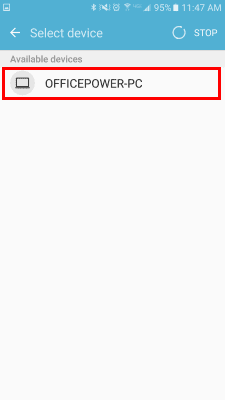 On Windows 10, right-click on Bluetooth icon in notification/task tray. Select Receive a File. 2. On the Android cell phone, select a photo to send then click the Bluetooth icon in the home page. It should search and then show you the name of your Windows 10 computer. Click on the name. It should send the file. 3. Click on Finish on Windows 10. 4. 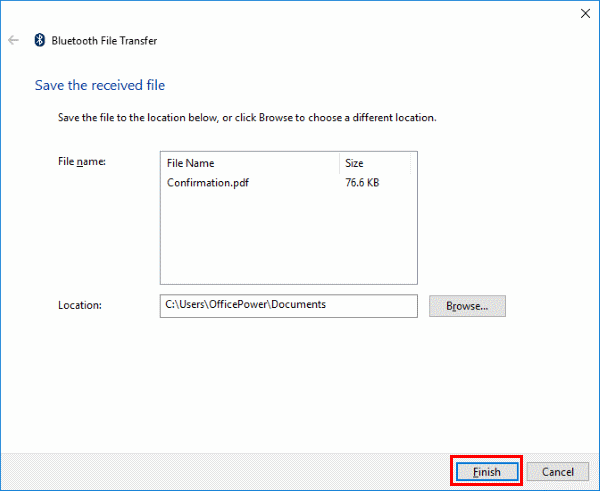 A copy of the file will now be located in the Document folder. It will just have a number as its name, and the JPG extension. This one did extremely help. TNXS,. 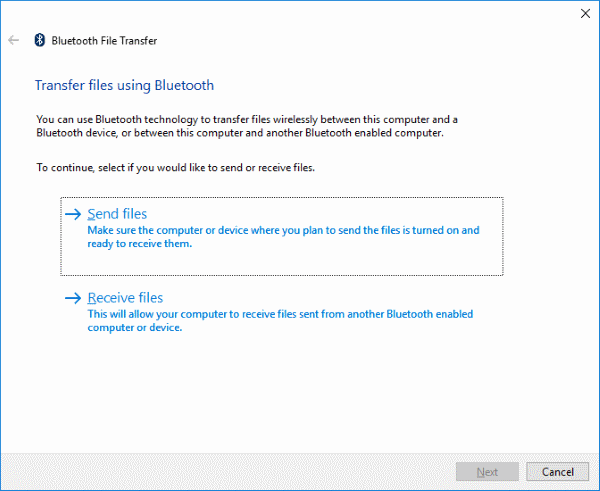 How to I transfer several files at once using Bluetooth transfer and specifying several files. The transfer fails after 1 file and part of the next one is transferred. I am using a galaxie s5 and a Microsoft Surface. I have several hundred pictures to transfer. tried this but did not work. I get message on android (LG g5) that says file not sent. This works up to 6 files. If one selects and wants to send more then somewhere around half of the 7th file the transfer always stalls. Reproducibly! Quite annoying! Wow! Thank you so much for this information. It worked wonders. I really appreciate your help. My S7 is paired with my laptop windows 10. But every time I want to sent a file from my phone, it says that it can not be done or that my laptop can not accept it. I have tried everything. I use A5 which I have updated with windows 10. My phone does not show up on my laptop. 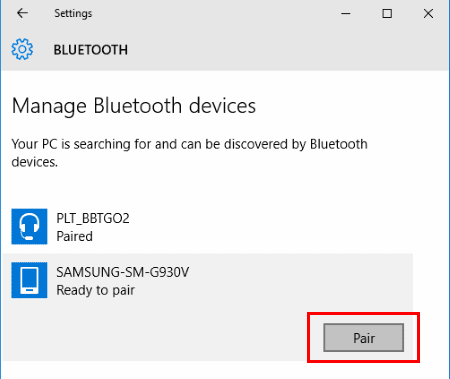 Is this because windows 10 supports bluetooth 5.0 and A5 only has 4.2? Brilliant, thanks. Worth noting that, if you hold your finger on a thumbnail image in Gallery in Android, it switches to the mode that lets you “tick” multiple images to send in one go. It’s pretty slow to transfer (or it is from my old Samsung A3) but it gets round the problem of not having a cable to hand. Being able to browse the files on the phone from the Windows laptop would be really handy! This worked great. Thanks for the detailed instructions. AWESOME ANSWER, WORKED LIKE A CHARM!! THANK YOU! I want to use the Bluetooth feature to browse files on my phone using the browser. Is this possible? It would be terribly painstaking to transfer one file at a time. 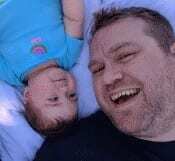 If you have window 8 or 7 then how does it work? Also how you can access of the samsung note 8 cell phone through by computer to access all children activities. Thank you very much! I was able to send files via Bluetooth to my Windows 10 b/c of this post. Thank you! We need to manually click “receive files” in windows before sharing any files out from an android phone?